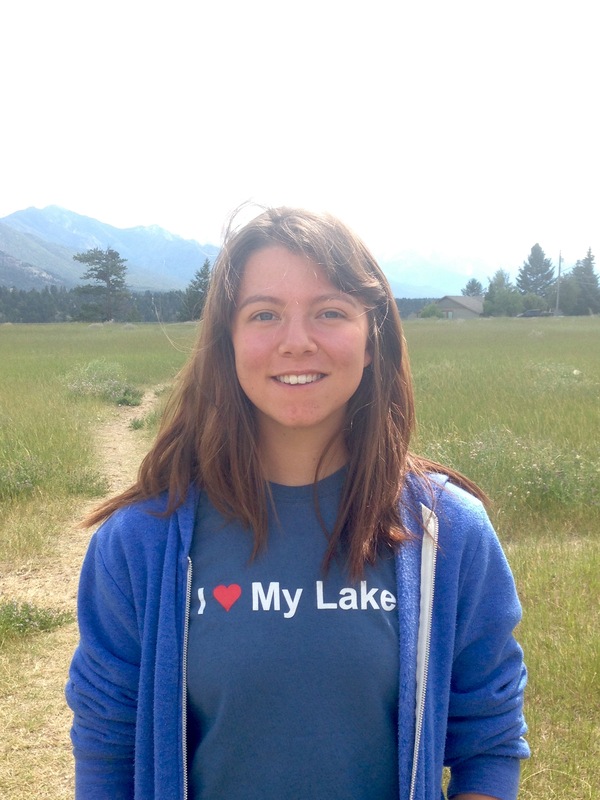 Please join us in welcoming Katie Watt as the newest member of our summer Watershed Stewardship team! As Katie dives into the art of lake science, she will learn to lead citizen science water quality sampling on Lake Windermere, she will write educational articles about the lake ecosystem and local leadership for the newspaper, and she will creatively determine new ways to engage the public in the honorable tasks of water stewardship. To learn more about Katie, read her Watermark below! It was mid December, I believe, of 2015 that I found myself wandering across the frozen Columbia Lake with no final destination in mind. I remember the sun setting, the pale yellow sky that accompanied it as it sank, and the cloud of my own breath that glowed before me as I walked. I also vividly recall a homely red ice shack sitting alone; trails of wood smoke drifting lazily from its peeling roof. Of course, I cannot determine why this moment struck me as it did seeing as it was nearly -10°C and I was wildly under-dressed, but I suppose out of all my memories of the lake, this one strikes me as the most beautiful. Columbia Lake is important to me not only because it’s where I grew up, but also because it provides something that we all can connect to. It’s the place where her son learned to swim, or his daughter watched the sunset; where the eagles have a home and where the mountain’s reflection lives in the summer. Really, it’s a beautiful lake that so many of us have an experience with, and I hope that it stays that way for as long as possible. This Watermark was collected by Megan Peloso, Lake Windermere Ambassadors. As part of our Canada Day celebrations, we thought it fitting to become official collectors for The Watermark Project here in the Columbia Valley region. We collected 8 of your watermarks at Mountain Mosaic in Invermere, and our favourite part was hearing all the different meanings water bodies have for you, in all ages and walks of life!